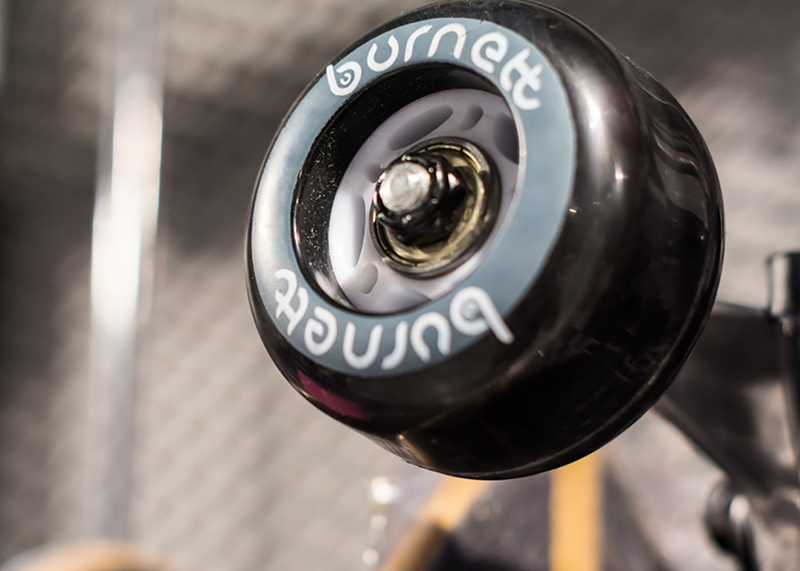 Burnett is the own sports brand of Grupo Paquetá. 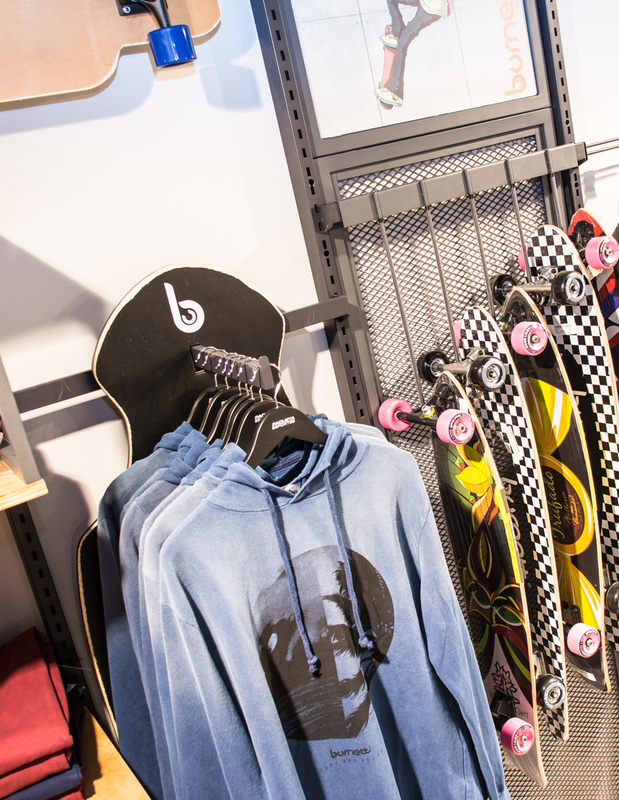 A brand that owns from own confections, skateboard and even bicycles. 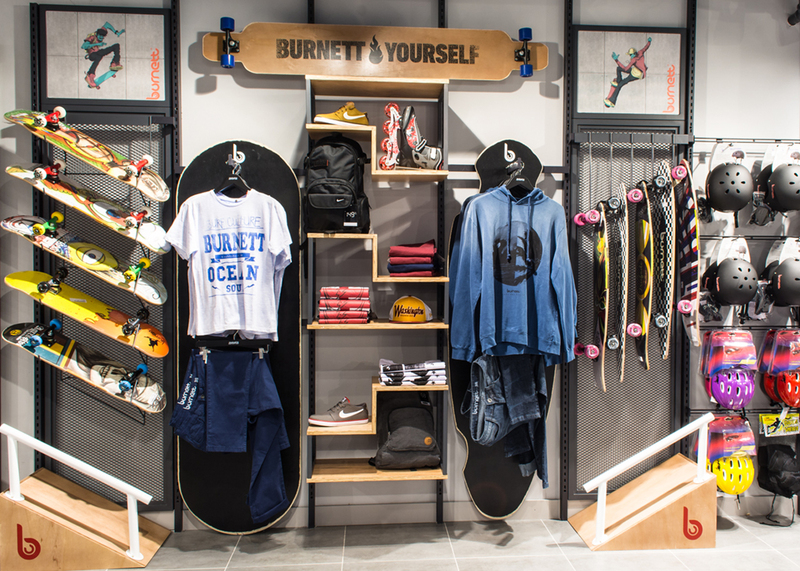 For the Skate line, the marketing team of Paquetá Sports asked us for a differentiated project that would mark a space of the brand inside the store, using the modulation of racks (store default system of exhibition) and qualify the product as something of value To an audience that today is a trendsetter in the fashion market, and that values more than ever concepts such as attitude and authenticity. 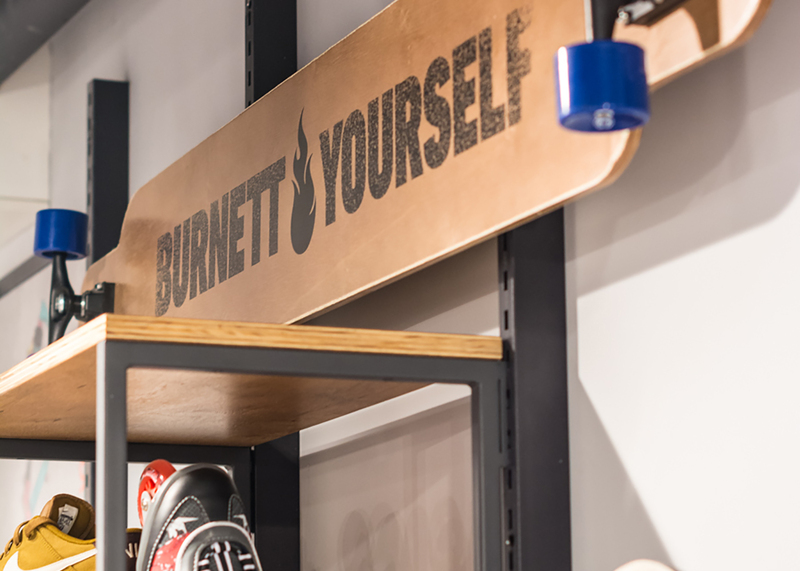 So we started with pieces of wood made with naval plywood, even material from the “shapes”, where clothing exhibitors would have forms of “longboards” with worn edges like the skates of who really walks everyday. 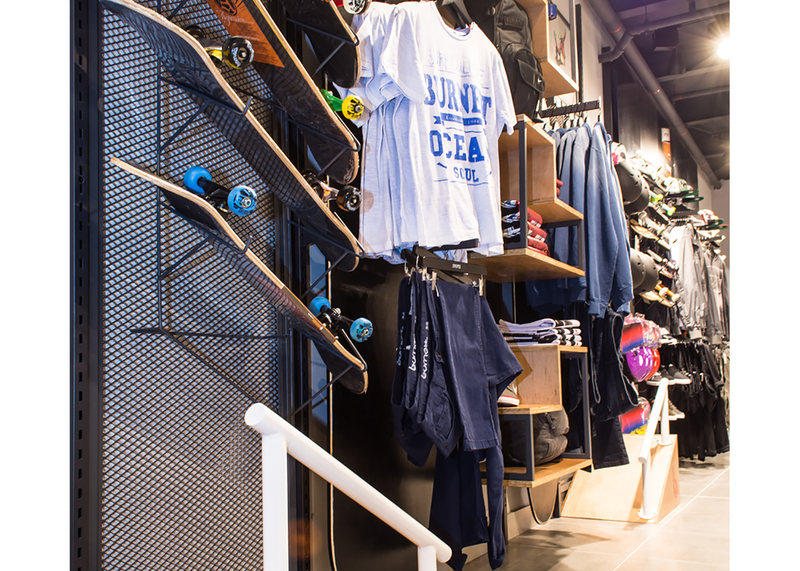 The niches in the shape of obstacles of skating rinks also in plywood are completely movable and they use of the standard system of encaustic of the store. And the whole composition tends to direct the attention to the center of the space, where is the area of clothing . 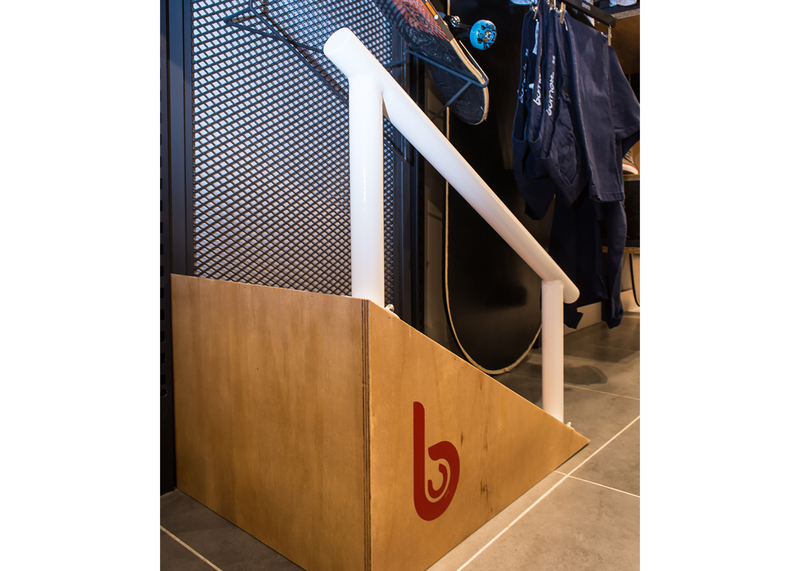 The communication is on account of movable magnetic panels with the campaigns of the agency and the brand is presented and a tester that looks more like a super longboard and curiously many customers, thinking it is a real skateboard, wanted to buy.